PhD student publishes a book! Our English students have many talents. Some, as well as being scholars and teachers, are also creative writers. 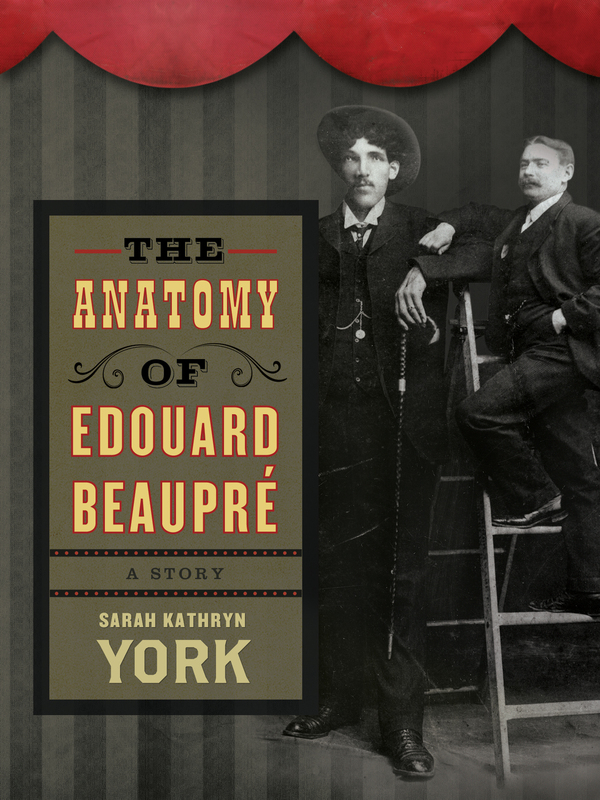 We are delighted to share the news that Sarah York, a PhD candidate in English, has published a book called The Anatomy of Edouard Beaupré. As a scholar, Sarah is writing a dissertation on ‘liminal landscapes’ as interstitial and generative aesthetic realms in American literature and writing. She looks for connections between literary scholarship, creative writing, and compositional pedagogy as sites of transformation. Her research in unusual bodies, sexuality, and “freaks,” as well as Southern Appalachian literature and culture, are sources for other writing, lectures, and curious digging. Sounds to me like her research and her creative writing are connected. Fabulous! The department recognized Sarah’s talents last year when she won the Graduate Student Creative Writing award. 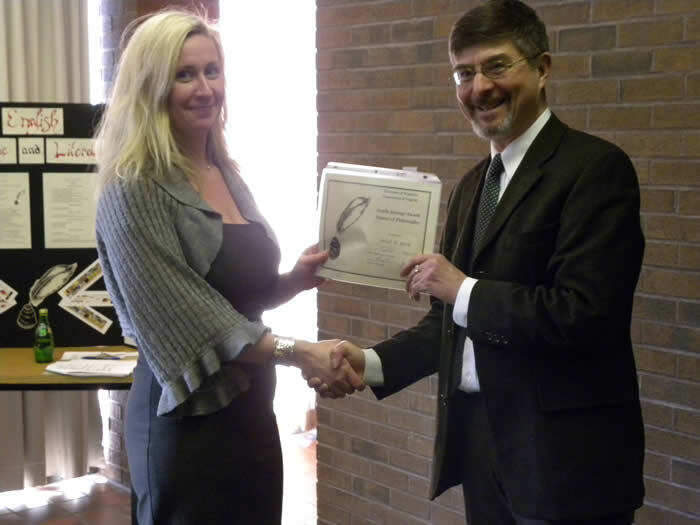 Here is a photo of her receiving the award and being congratulated by Department chair, Professor Fraser Easton. Please click here to see the publisher’s page. Coteau Books is a fabulous co-operatively owned and run small press based in Saskatchewan. On their website you can read a sample chapter of The Anatomy of Edouard Beaupré.and watch a book trailer.